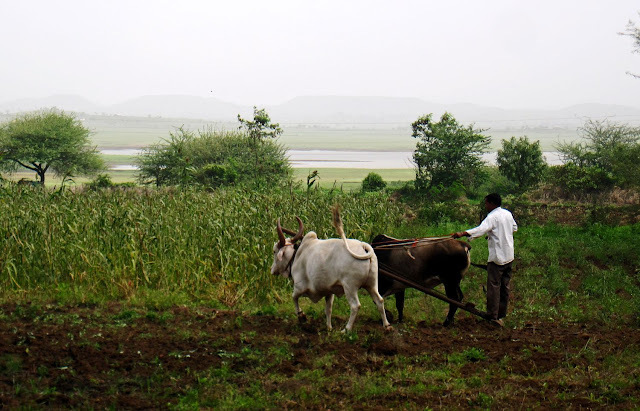 These are photographs of a plough and bullock tilling a field in rural India. The bullock is ploughing the field. The farmer stands on a wooden plough and his weight manages to dig up the soft mud. 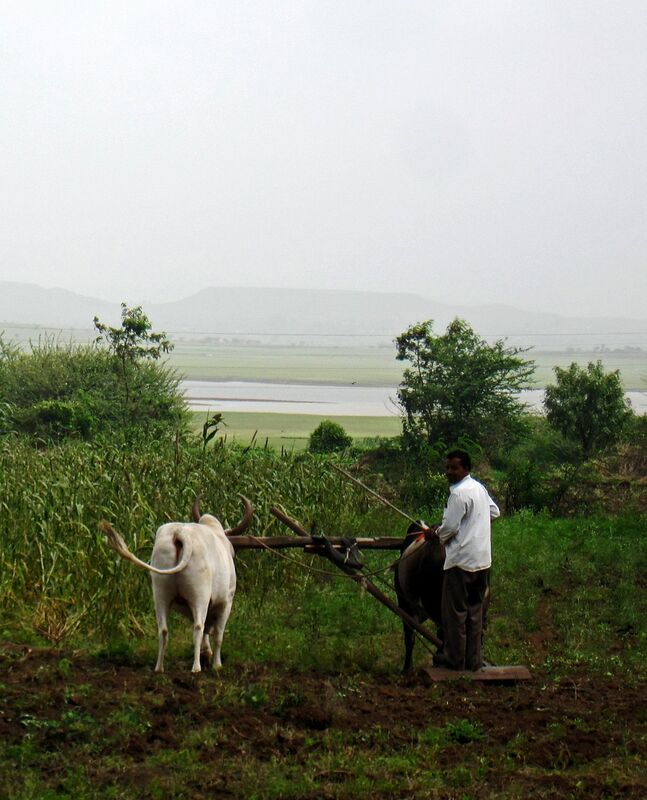 The crop in the background appears to be sugarcane. In the background is a river and some hills. The farmer is ploughing the fields. 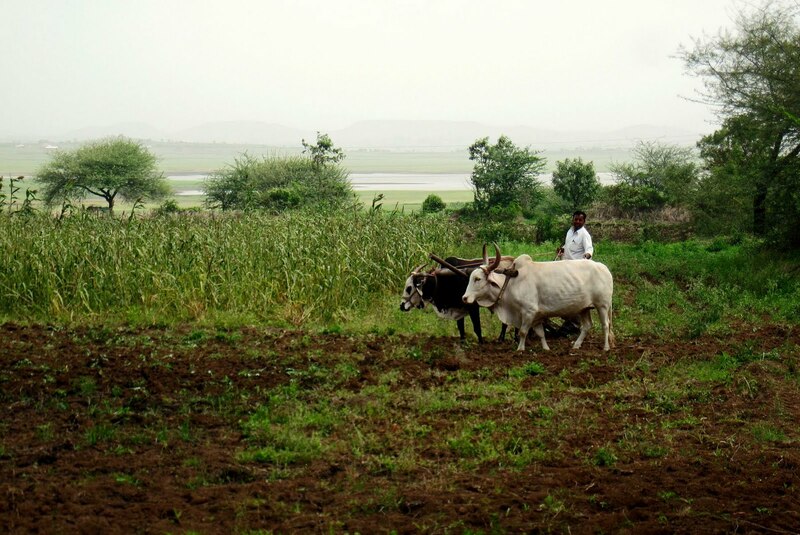 or check out Large images of open fields for headers or more pictures of Rural India.